This is my routine for when I’m filming or want a more flawless, porcelain look to my skin. It’s not necessarily an every day routine. Also, I’m sorry that most of this isn’t drugstore; I am working on finding face products I love that are more cost efficient. Definitely open to suggestions in the comments :)! is nc 15 the lightest color? what part of the mosaic blush do you use? Point taken. I should try out some mac makeup. I never have, but they don't seem too thick or splotchy when I watched you apply them. Do you not use a primer at all? what eye makeup are you wearing?! You have realy pretty eyes?? Love the vid! Your makeup is probably my fave. Always looks flawless and like you aren't wearing any! You have such clear skin, what's your skin routine? can you do a skincare routine? is it bad that im 15 and have never worn or owned and foundation, concealer or bronzer??? You are beautiful and you have really good skin! 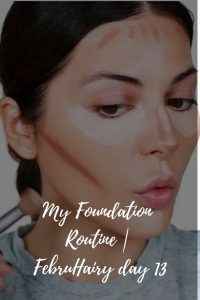 Did you use a primer before your concealer?